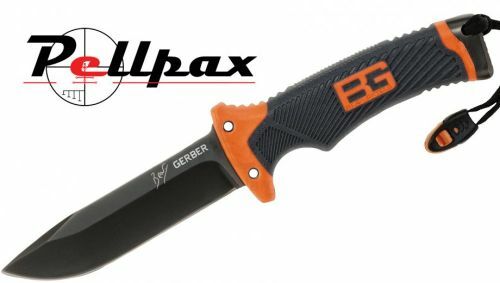 Gerber have teamed with Bear Grylls to provide the ultimate range of survival knives that are perfectly suited to outdoor explorers. The blade is made from extremely high carbon steel that is resistant to corrosion and rust as well as dulling and has been fashioned into a drop point shape that makes the knife great at slicing and puncturing. The handle of the Ultimate is made from a textured rubber that enhances grip and makes the knife easy to control, even in testing weather conditions. The handle is also fitted with a built in lanyard hole which contains a survival whistle. The knife also has an integrated diamond knife sharpener in the front of the sheath and also comes with a fire starter.